Public Health Week is April 1st through the 7th . Public health workers will continue their work to protect the health and safety of community members. We want all Ocean County residents to live a long and healthy life in a safe environment. During this public health week we will be highlighting the services we provide for individuals to ensure a decrease in the causes of poor health and disease risk among individuals and within our community. The Ocean County Health Department will be facilitating several events to help promote the services that we provide to the public because public health is you too. We will be participating in the Ocean County College Opiate Summit, Sexual Assault Awareness Night at Blue Claws Stadium, and a Live Healthy Ocean County (LHOC!) event at St. Paul Lutheran Church in which we will be partnering with Senior Services. We have made it a priority to have services from the following units our Alcohol and Drug Services, Chronic Disease Services, Community Assessment and Health Education, Emergency Preparedness, Infectious Disease Services, Environmental Health Services, and our Maternal and Child Health Services. 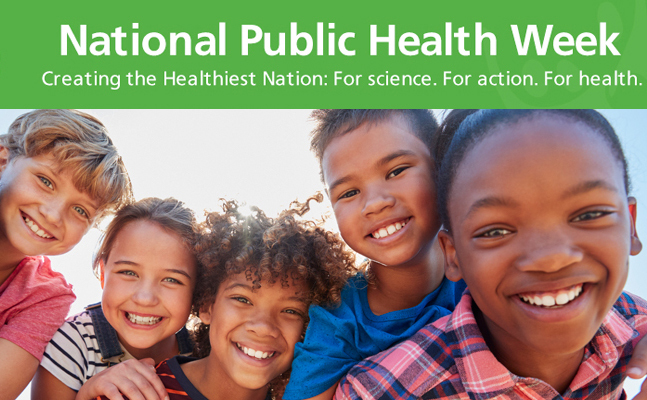 Learn more on our 2019 National Public Health Week page.